Custom GT Tabs product data sheet. 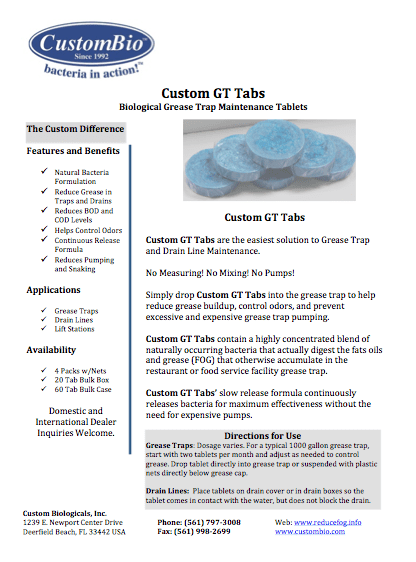 Custom GT tabs are a grease trap bacteria product. GT Tabs contain grease digesting bacteria. For use in restaurant and food service facilities grease traps and drain lines. Custom GT Tabs are manufactured and distributed by Custom Biologicals. Distributor inquires, both domestic and international are welcome.